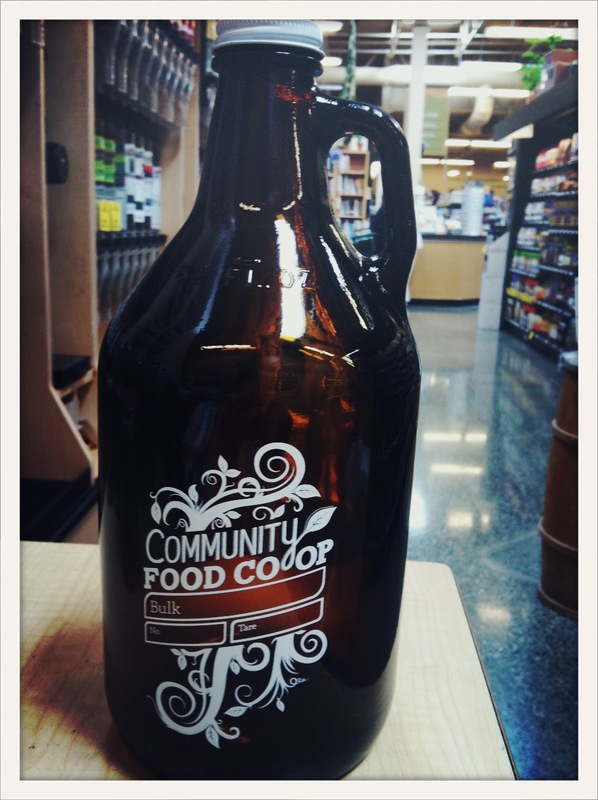 We are very pleased and excited to offer the latest Co-op branded product, the Co-op Growler for bulk. Now you can store your bulk liquids, grains, seeds, granolas, etc. in this dark amber growler sized bottle. Our talented in house designer, Habiba, created the design with a place to write in your bulk item’s name and bin number. There is also a spot to write down the tare weight of the bottle. 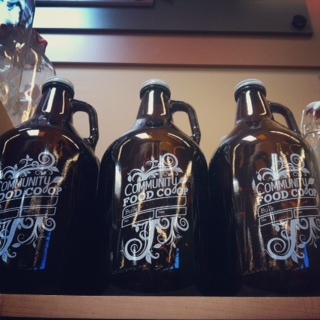 The Co-op has markers for writing on glass that can be easily wiped off when you need to use the growler for another bulk purchase. These bottles were made and screened for us in Seattle. At $8.95, they are a great option for bulk and a great way to show your Co-op love. Grab one for yourself, give one as a gift. They’re the perfect blend of beauty and utility. Find them in the Bulk departments of both store locations. 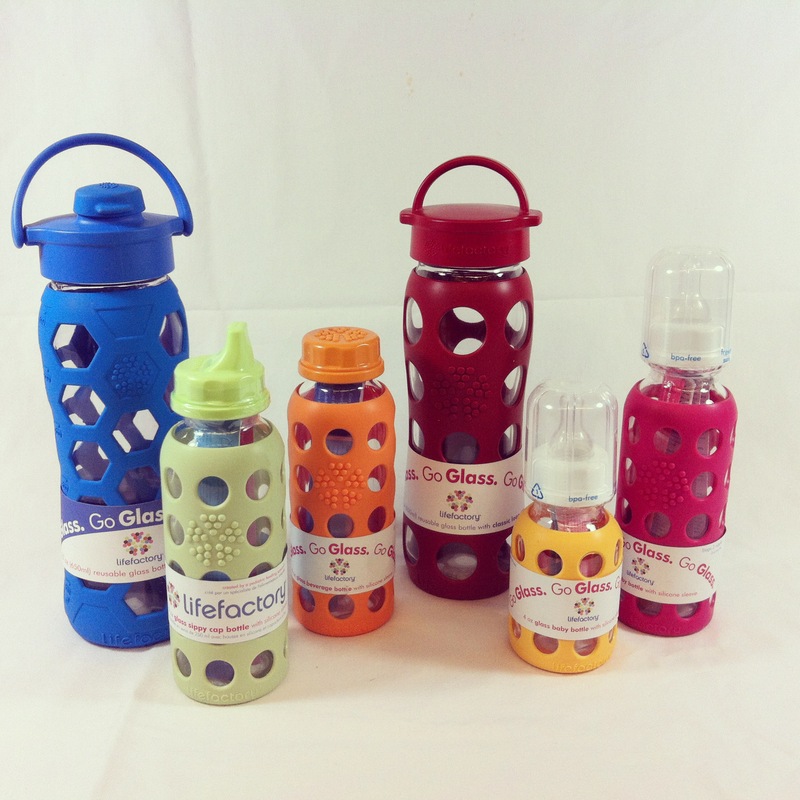 Lifefactory Bottle are a favorite here at the Cordata Co-op. The design and colors are great and their glass bottles are made in France. Glass doesn’t retain odors, and the silicone sleeves makes them virtually unbreakable. All of their lids are interchangeable, so a baby bottle can become a sippy bottle and then a drink bottle with a lid. The adult beverage bottles come with a sport lid or a standard loop top lid. Lifefactory is based in San Francisco, CA. “At Lifefactory, we set out to develop the safest and most beautiful reusable hydration system on the planet. Our bottles are designed to grow with families from cradle to table. To ensure safety, all of our products are made from materials that are free of BPA, phthalates, PVC, polycarbonate, lead and latex. No compromises. Glass offers the best taste, is the safest material to drink from and is built to last a lifetime.